Category Archives: Pure Pop Radio’s New Music Explosion! Pure Pop Radio Springs Into Gear With Our Five-Day Bounty of Wonderful New Music. It’s Our Springtime New Music Explosion! M arch Madness® has nothing on Pure Pop Radio’s five-day bounty of new music that kicks off this Monday, March 21st at 6 am ET. You want excitement? Our thrilling, five-day-long Springtime New Music Explosion is stocked full of songs from both new and heritage artists. It’s a melodic slam dunk on or off the court! Join our Facebook event page and keep up with the latest information on this exciting event by clicking here. 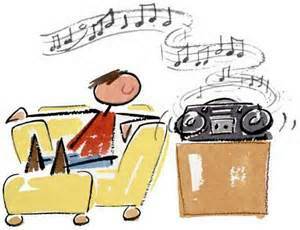 New music, just added to our playlist, will be swirling around our airwaves beginning this Monday at 6 am ET. Each day this week, we’ll be posting our usual, detailed slew of reviews, adorned with colorful thumbnails, of each and every add to our rotation. 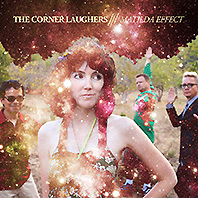 Need information on the latest and greatest melodic pop music in the universe? Look no further than right here! 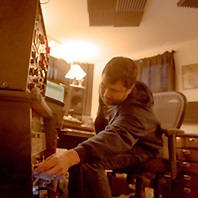 We’ve got a ton of new music to tell you about–all of it stored lovingly in our deep library. This is music that comes from just about every corner of the world of melodic pop. 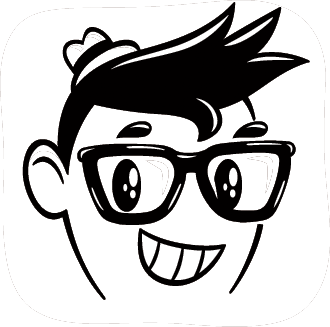 We’ve got you covered: power pop, sweet pop, soulful pop, art pop and much more. As usual, we’re playing the soundtrack of your lives! Be here this Monday, March 21st, beginning at 6 am ET, for Pure Pop Radio’s Springtime New Music Explosion. Stay with us through the rest of the week and beyond for nothing less than the greatest melodic pop music from the ’60s to today. Pure Pop Radio is happening! One, Two, Three…Four! It’s Day Four of Pure Pop Radio’s New Music Explosion. Get Ready to Pop! 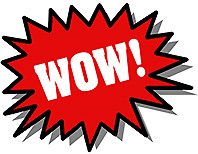 Welcome to day four of Pure Pop Radio’s New Music Explosion. Are you ready to pop? 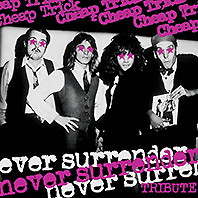 We certainly are; this week (and next; see below) we’ve been adding hundreds of new songs and artists to our playlist. You’ve been following the fun, so you know: Once you get started, it’s hard to stop! So we’re not going to. Our New Music Explosion will continue into next week. We’re getting very near 7,000 songs playing in rotation. That’s a whole lot of great music for you to enjoy! Okay, then–it’s time to roll. Here we go. Here’s a Thursday mini-list of two very special, newly-added-to-our-playlist albums. There’s lots more coming. 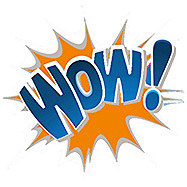 We’re here to wow you. Let’s go! 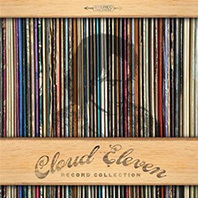 Cloud Eleven | Record Collection We started out in melodic pop radio back in 2005. We point this out to demonstrate how far we go back with many artists. In the case of Cloud Eleven’s Rick Gallego, we go back to 1996, when he released a compilation of 14 songs under the name Jiffipop. Thanked in the notes to that CD, called Demolicious, is Zane Drake, who pops up on Rick’s new album, playing guitar on two cuts. Which, in the scheme of all things holy, is interesting and important. Rick has been creating great pop music for a very long time; Record Collection, a superb, career-defining album releasing this coming August, is his best yet and will, if our prognostication skills are keen, be right up there on this year’s best-of lists. And is “Too Soon Was Yesterday” the stylistic musical marriage of the moment? Surely, this Burt Bacharach-meets-Paul McCartney-meets-Brian Wilson number is an astounding piece of inspiration, well played. The punctuating piano, topped by Probyn’s flugelhorn and moved along with care by Nelson’s drums, sits comfortably as Rick’s emotional vocal tells the tale of a love lost yesterday. “What If I Found You” marries an opening reminiscent of the Young Rascals’ “A Girl Like You” to a song whose production reminds me of Bones Howe’s work with the Association. The album’s one true power pop nod is the upbeat “A Sadness in Sorry,” which also manages to tip the scales towards the softer side of the pop scale. And there’s more, but we simply can’t cover it all, because then what would be left for you to discover? Turns out there’s plenty of joy to go around. Rick’s missive at the bottom of the inner credits panel of the package ring true: “Find Peace. Find Happiness.” There is a lot of both to be had here. Record Collection is absolutely, positively not to be missed. 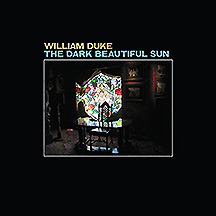 William Duke | The Dark Beautiful Sun William Duke’s new and absolutely wonderful collection of songs, recorded over a five year period, evokes the spirit of the Southern California sound from the 1970s, except these are the ’10s and William makes beautiful music in Northern California. So much for the game of Where Things Come From. In any case, these songs are among the most effortlessly flowing melodic wonders we’ve heard all year. 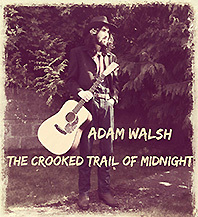 The toe-tapping opener, “The Golden Ring,” finds William channeling the vocal and instrumental style of early Bob Dylan. Another such toe-tapper is the delicious “Many Years Away,” which features harmony vocals that delight. “The Truth Comes Out at Night” weaves a slower tempo ballad into a faster gallop of a song to more than simply pleasing effect. It’s quite tremendous. We’re playing nine tracks: “The Golden Ring,” the title song, “Sons and Daughters,” “Many Years Away,” “The Truth Comes Out at Night,” “Just Lookin’ for Some Sleep,” “The Great Escape,” “Summer Side of Life,” and “Your Laughter Fills the Room.” A nice surprise from a talented artist. We’re happy to be spinning these songs in rotation on Pure Pop Radio. We’ll be back tomorrow with another list of new songs and artists added to the Pure Pop Radio playlist. Why not click on one of the handy listen links below and join your fellow melodic pop music fans as they (and you) enjoy the greatest pop music in the universe from the ’60s to today! See you tomorrow! It’s Time for Another Pure Pop Radio New Music Explosion! Hundreds of New Songs and Artists Are Being Added to the Playlist Beginning Tomorrow, Monday, June 8! 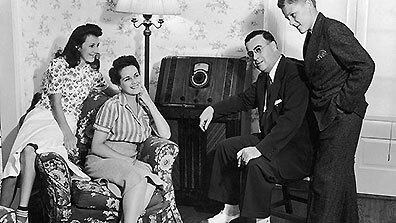 Look at the cute, happy family above: They’re digging the melodic pop sounds being broadcast by Pure Pop Radio! Don’t they look happy? They love the tunes; they love how the tunes make them feel! Speaking of tunes, hundreds of them, heretofore unheard on Pure Pop Radio, have been mounting up in every nook and cranny, toppling over each other–a couple here, even more there, at all angles, and they’re so tasty and fine, they’re about to explode! The names of the artists and songs being added to our playlist are hush-hush; you’re going to have to wait until tomorrow morning, Monday, June 8, to find out which tunes are going to be new to our air. But suffice it to say, you’re going to be wowed like never before by new songs from your favorite, heritage artists, as well as tunes from new artists from around the globe. In other words, we’ve got a whole bunch of bushelfuls of catchy, melodic pop to get you tapping your feet to the beat that’s ever so sweet! You’ll be digging the sounds just like the guy pictured above! Mark your calendars for tomorrow, Monday, June 8–the new songs start rolling in rotation at 6:00 am ET and continue rolling throughout the week. We wrap up our New Music Explosion on Friday, June 12 at 11:00 pm ET. We’ve got a happening Facebook event page that you will hopefully want to join. Click here to be magically transported. Hundreds of new songs and artists are waiting to hit your ears. Be here throughout the week and don’t miss a note! Click on one of the listen links below and enjoy what we’ve been bringing to you for more than 20 years: the greatest melodic pop in the universe from the ’60s to today! See you on the radio!